Speakers of Alias are used to interrupt the assistant with a constant low noise/sound that feeds directly into the microphone of the assistant. When Alias recognizes the user created wake-word, it stops the noise and quietly activates the assistant with a sound recording of the original wake word. An assistant can then be used as it normally would. The wake word detection can be made with a small neural network that runs locally on Alias. That neural network can be trained and modified through live examples. An accompanying mobile app acts as a controller to reset, train, and turn on/off Alias. Alias can also be programmed to send any speech commands to the assistant’s speakers, giving users access to set up a feature similar to Routines on Alexa. For example, one word with Alias could prompt it to say several different commands to a smart speaker. The Rise of Consumer Distrust in Smart Speakers – Impactful, but Unfounded? The adoption of voice assistants has been large and fast, and it is only expected to increase over time. Voicebot found in September 2018 that smart speakers had a reach of 57.8 million people. As with the rise of any new technology, the rise of consumer distrust also appears but some argue that voice assistants actually offer more privacy than phones. For example, Witlingo’s Brielle Nickoloff discussed privacy and consumer concerns with voice assistants in a Voicebot interview. She said GPS tracking should actually be viewed as the biggest privacy issue, and that overall, smart speakers allowed for more user privacy than mobile phones. Here is a graphic she created to aid in understanding. The graphic makes excellent points, and really prompts users to think about what data they allow their devices to have access to. However, just because a smart speaker is more private than a mobile phone does not mean that users will be quick to trust it. Smart speaker privacy concerns made headlines last year when Amazon accidentally sent 1,700 Alexa recordings to the wrong user. Although a one-time accident, it’s not a good look. User reviews of smart speakers like Alexa Echo devices or Google Assistant devices often cite common concerns of privacy. 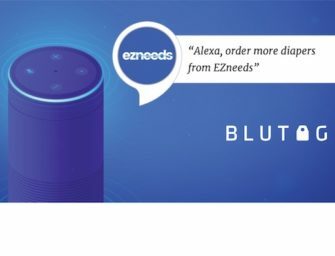 Privacy tips are even listed in the highest rated customer review of the Echo Dot 3rd Generation (as of writing this post). Over the Summer of 2018, consumer research firm MusicWatch surveyed 5,000 US consumers aged 13 and older, with 48% of respondents stating they were concerned about privacy issues associated with their smart speakers especially when using on-demand services like streaming music. This feeling of distrust may just be the traditional course for the introduction of new technology. However, it does have a role in consumer adoption. Project Alias recognizes this and is capitalizing on consumer distrust of smart speakers “always listening” model. The existence of this product, and also the fact that it is an open-source project, does offer some lessons for consumers. Having the source code, instructions, 3D printer-ready files, and schematics diagrams all available online for anyone to look at and use indicates that the makers of Project Alias want to be transparent with consumers. They want consumers’ trust and they want consumers to protect their data. The inspiration behind the look of the project also indicates that the project creators think consumers ought to leverage their personal data over large tech companies. Karmann states on his website that the cordyceps served as inspiration for the strange aesthetic. Cordyceps is a fungus and virus found in jungles that can appropriate insects to fulfill its own agenda. It will infect, kill, and then use an insect’s body to grow more fungus. Creepy. Hence, the ‘smart parasitic’ title given to Project Alias as well as the fungal design. BBC makes an interesting point about cordyceps: although gross in nature, it actually has a good effect on a jungle’s overall health as it stops any one species of insect from becoming too dominant. “The more numerous a species becomes, the more likely it will be attacked by its nemesis, cordyceps fungi,” the narrator of Planet Earth Attenborough Wildlife says. Does a Listening White Noise Machine Solve the Always Listening Fear? Having a neural network run locally on the Raspberry Pi offers a significantly higher amount of privacy that just using an Amazon Echo or a Google Home device. The key word to remember here is ‘local.’ This means there is no need for Project Alias to use the cloud. The use of a Raspberry Pi is also significant to creating privacy because it can only store up to 512MB of RAM (The Instructions call for a Raspberry Pi A+), in addition to a micro SD card of at least 8GB. So if Alias is recording users, it really is not recording much, and those recordings are stored locally. Compare that amount of storage to Amazon and Google’s cloud-based systems that require the use of server farms of incredible size to function. Project Alias is not alone in seeing the benefits of on-device AI, either. Voicebot discussed Sensory’s enabling of offline smart speakers last week, which also decided to make their AI local in order to maximize security. Over the past year, many large venture funds have also begun to invest in companies that are finding ways to do intensive data processing on devices like smartphones and security cameras instead of in remote cloud systems. For example, Qualcomm announced the Qualcomm Ventures AI Fund late last year, stating it wanted on-device intelligence to become pervasive. The development of Project Alias, as well as investments by large tech companies in on-device AI, points to an increasingly secure smart speaker future.